Months of hype and anticipation are finally about to come to an end. Super Smash Bros. for the 3DS is live and very popular in Japan, and American fans only have to wait until October 3rd until the final product. Thankfully, Nintendo just made that wait a lot easier. Last year's Platinum members now have access to a free, unlimited demo with local multiplayer and the option to play as five characters: three veterans in Mario, Link, and Pikachu, and two newcomers in the Animal Crossing Villager and the highly anticipated appearance of Mega Man. After a weekend of playing through these battles, how do we feel about this Nintendo 3DS version of Nintendo's marquis, nostalgia-ridden fighting series? 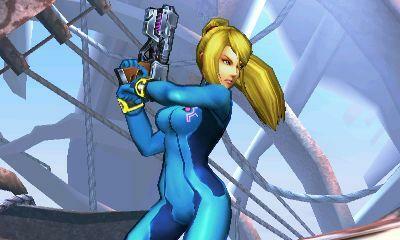 I don't think there is any question that the Wii U version is the one most Nintendo fans want to play. I didn't even consider buying the Nintendo 3DS version until only just recently after Japanese friends convinced me to. Tight controls, slick graphics. It's not going to be a full time substitute for the Wii U version, but I think you'll be hard pressed to find a better, more suitable fighting game to take on the go. And that's not even my kind of thing. How do you feel about it at first glance, Joey? I'll own up to something to start, I suppose. 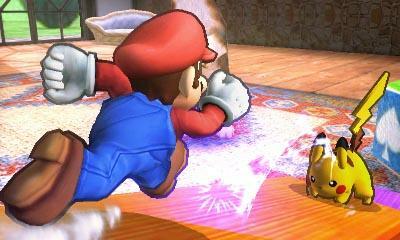 I've sort of been writing off the 3DS version of Super Smash Bros. ever since the beginning. It's not that I didn't think it would be any good; no, it's just that it seems so much like the Wii U's little brother. Having played the demo rather extensively, something I'm sort of ashamed to say, I'm officially extremely excited for the portable edition. Yes, it's smaller. It's also rock solid, extremely fluid and simple enough to work in quick blasts. I watched football all day on Sunday, and I had my 3DS open and playing the demo during commercials. It was kind of perfect for that. True, I pulled it out on the train in Japan and got excited over the thought of playing with strangers who were in my vicinity. My gaming buddies in Japan and I also get together in groups of six or seven, so most likely we'll be playing the 3DS version when it's not our turn on the Wii U version. I've got nothing but praise for it so far, even the thick black lines that surround the characters look good despite everyone's initial disgust. My main problem with the demo so far is the control scheme. I am dying to remap these controls into something that makes more sense. So far, Nintendo has three buttons that jump on the face of the console, and two of them are the X and Y buttons. In today's action game world, Y generally translates into light attack and X into heavy attack (normal and special attack in SSB language). B is usually a jump, and A is a dash button. It would be nice if Super Smash Bros. adapted to this standard instead to sticking to buttons for the namesake of previous games. You said the buttons could be remapped in the final version though because they can't in th demo, so I guess my complaints will be fixed. Any changes you'd like to see or things you are not happy with? Yeah, I'd remap the controls too. We'll be able to remap them in the full game, so there's that. Personally, I found the demo to be nearly perfect. Being able to try out the Final Destination switch, knowing that I'll be able to do that on every stage in the game, that's pretty cool. The only thing I really can't comment on is the wireless play. I don't have any friends near me with the demo, so I've been out of luck in that regard. If I had to see something, it would be how that plays. In fact, I'm more interested in seeing how the game plays over Wi-Fi, something we had no access to at all. Ron, I'll switch gears, who was your favorite character in the demo? I'm a little torn between Mario and Mega Man. 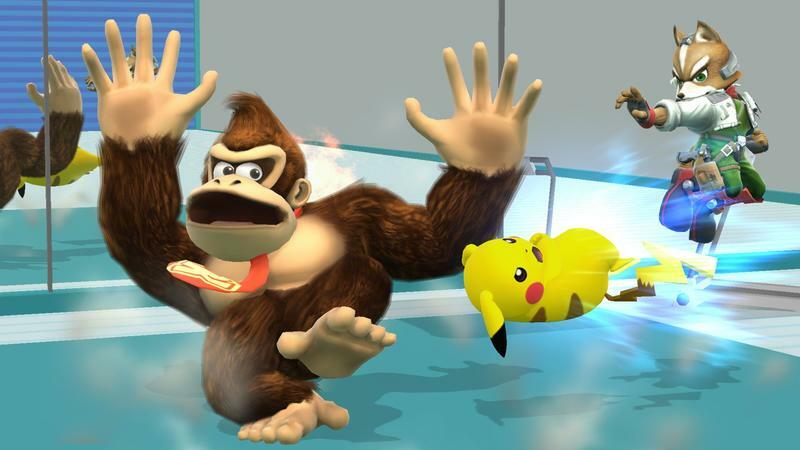 I'm in love with Mario because for the most part, his moveset from Super Smash Bros. Melee is back, doing away with the horrible Brawl setup they had for him. He was always my choice back then, so it's nice to see him return to form. 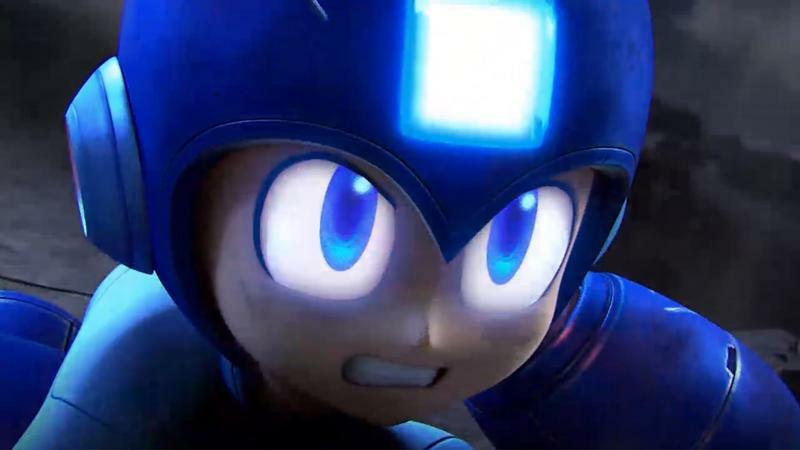 Mega Man though is just a lot of fun to use. Granted, I'm totally confused with the control scheme because I'm trying to control him like I did in other Nintendo DS games using the button layout mentioned above, but so far, I like what I see. The Leaf Shield and Top Spin, two of his least popular powers in the classic games, are in his arsenal, and yet the development team made them fun to use. Rush appearing as his second jump is charming, as is his unique death animation, and charging up the Mega Buster works perfectly in line with the rules behind traditional smash moves. It's a perfect translation of the traditional character from his games into a new game with very little lost in between. I can't end without mentioning his Final Smash attack either, which is everything Mega Man fans have been dying to see for decades. All five major iterations of the character line up in a line, charge their buster cannons, and just let rip. It's amazing. Too bad I turn off Final Smash moves when I play though. I might turn them just on to see that move. Normally, I am an "in your face" fighter in Super Smash Bros. with characters like Marth, but I am excited to change it up every now and then with a ranged fighter. I believe I have my guy. I'm that totally boring Smash player who almost always mains with Link. Blue Link, to be exact, because I absolutely love that tunic from The Ocarina of Time. With that in mind, of course I was happy to see my favorite hero here in the demo. I played with him, and I loved him. 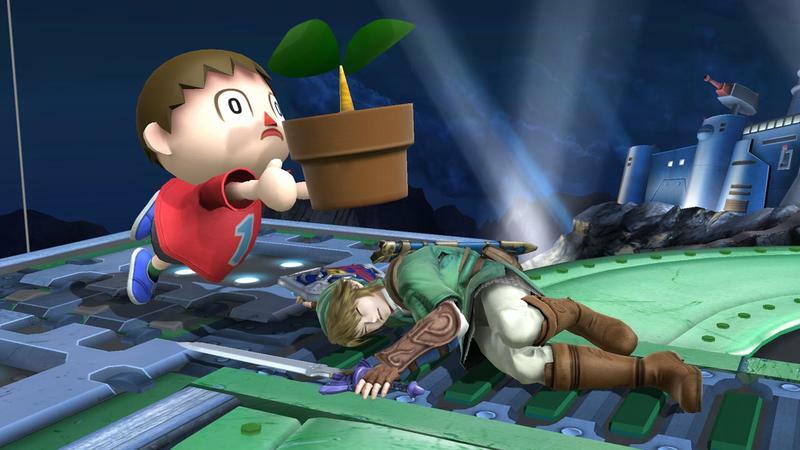 The surprise for me was the Villager. I sort of assumed he'd be gimmicky and boring to play based on his source material. I don't know, I never liked Mr. Game and Watch, and I kind of mentally lumped the Villager in with him. He's just a one off, right? 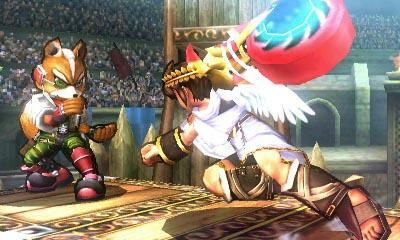 The Villager is kind of awesome. His moveset is strong, he has unique ways of recovery (balloons, sure, but he can rocket left to right on that weird noisemaker thing) and he has a really great defensive move that comes from pocketing attacks. I don't know, suddenly I'm thinking Link might be getting the boot as my main. The Villager is pretty darn sweet. Guess that leaves Pikachu out in the cold. That's fine, I never used him anyway in Melee. That just leaves one simple question: Who else are you excited to use? I know I complain about Captain Falcon and Ness, who is still unofficial to this day, taking forever to get announced, but that was mostly for completion's sake. 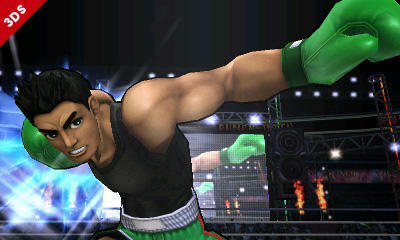 The character I most want to use though is Little Mac. Like I said, I like "in your face" fighters, and he is a speedy little punching demon. His Power Meter sounds a little cool, but I am a little nervous it adds a layer of unnecessary depth to Super Smash Bros. typically simple formula. 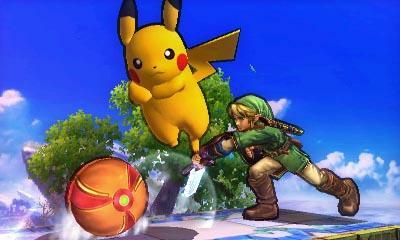 Shulk looks sweet, too. Yourself? There are a few leaked characters that I know about that I can't really comment on (for fear of spoiling readers), so I won't. I'm jammed up to play as the Wii Fit Trainer (yep), Pac-Man and Charizard. Excellent. We are closing down to the final few weeks for the release of Super Smash Bros. for the 3DS in America, which again will be available from October 3rd. We like what we see so far from the brief demo, and we are more than aware that it is but a mere fraction of what the final game will hold. Remember, if you scored a Platinum Ranking through Club Nintendo last year, check your email and you should have four codes waiting for you and three friends. You'll be able to play this demo as often as you want. If you didn't get the Platinum Rankings just yet, be sure to check out the Nintendo 3DS eShop on Friday, September 19th for the normal demo. This can only be played 30 times, and it does not have access to local multiplayer unless a person with the Special demo invites you.